I never knew that rum cake would be back in my life. Rum cake was part of the holiday baking at my father’s European style bakery, but as a child, one bite of it and I decided it was just plain “Yucky!” and I never had a desire to eat it again, or let alone bake one, haha! 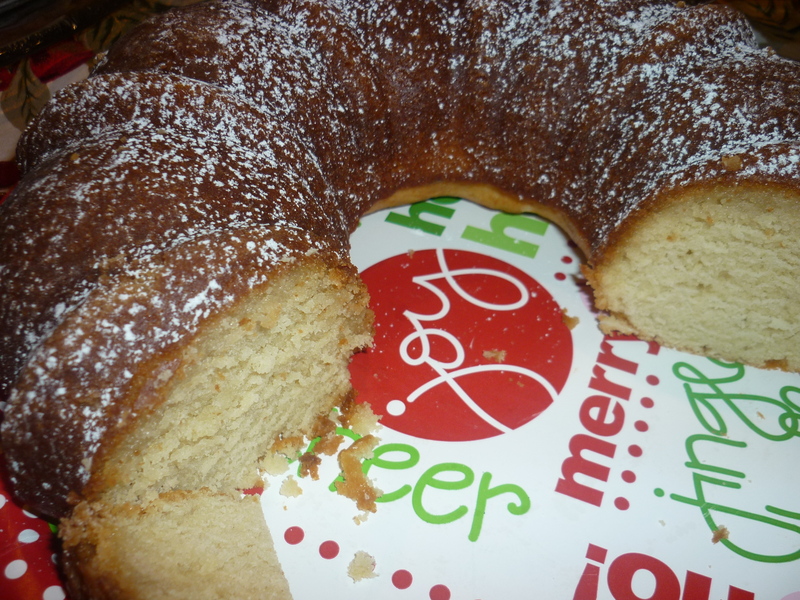 Fast forward to now, and I can say this year is the beginning of a new holiday tradition for me – rum cake! 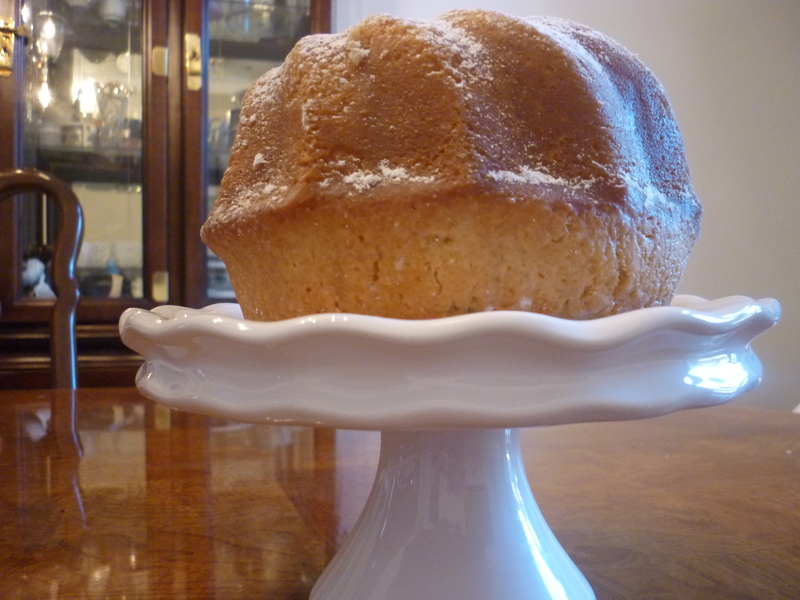 Rum cake! Just saying those 2 words, you get an eyebrow or two raised. I really owe this “change of heart” about rum cake to a friend of mine who loves to bake it for the holidays. Whenever he talks about his rum cakes, there is enthusiasm and a twinkle in his eye, and I just knew that I had to find out for myself what I’ve been missing. I still haven’t tasted his rum cake yet (hint, hint! ), and if you’re wondering if I’m going to be sharing his recipe, I’m not. The recipe I will share is from an online e-mail subscription called Desserts Magazine which I found last year. Maybe my friend and I could have a Throwdown one year and see whose is better. I’m confident that mine is pretty good because my father complimented me on my rum cake and said with a twinkle in his eye,”Your rum cake was pretty good. Was that my recipe?” You have no idea what that moment meant to me! Now about the Throwdown – I was just kidding, I don’t wish to compete with my friend. That’s not my style when it comes to baking. I just want to taste his Nicaraguan style rum cake. I’m all for traditions – preserving old ones and making new ones. I think I’ve crossed both this year with this rum cake, and I am one very happy daughter! 1. 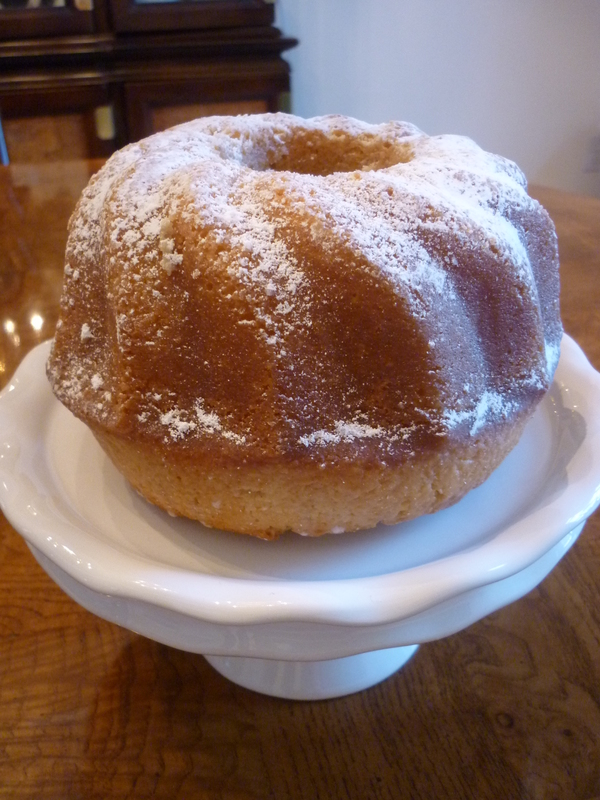 Preheat oven to 350 degrees F. Grease and flour a 9 or 10 inch Bundt or tube cake pan. 2. In a mixing bowl, cream butter and sugar until light and fluffy. Add eggs one at a time, beating after each addition. 3. Combine flour, baking powder, baking soda, and salt. In another bowl, combine milk, vanilla, and rum. Beat flour mixture and milk mixture into butter in 3 alternating additions. Pour batter into the prepared pan. Bake 1 hour, or until golden brown. 4. Cool in plan for 10 minutes. Then invert the cake a serving platter. While cake is warm, use a pasty brush to brush on the golden rum glaze. Dust with confectioners sugar. Melt butter in a saucepan over low heat. Stir in sugar and 1/4 cup water and bring to a boil; cook 5 minutes, stirring constantly. Remove from heat and stir in rum.